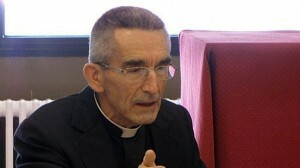 (RV) Le Pape François a exprimé ce jeudi sa préoccupation face au développement accéléré des sciences et des technologies biologiques et médicales. Le Saint-Père recevait les membres du Comité italien de bioéthique institué il y a plus de 25 ans. L’occasion pour lui de mettre en garde contre le risque de perdre toute référence autre que l’utilité et le profit, surtout dans le contexte actuel marqué par le relativisme et scepticisme quant aux facultés de la raison humaine. 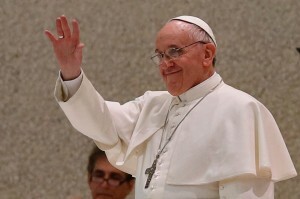 Last December 8th on the Solemnity of the Immaculate Conception Pope Francis led the Church in the holy Year of Mercy, a time of grace, peace, conversion and joy. This Holy Year will conclude on Sunday, 20 November 2016, the Solemnity of Our Lord Jesus Christ, King of the Universe and living face of the Father’s mercy. It is meant for everyone: people of every age, from far and near. 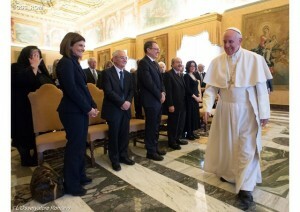 The Holy Door is now open in Rome and in all the dioceses of the world. As Pope Francis tells us “There are no walls or distances which can prevent the Father’s mercy from reaching and embracing us”. These days we hear a lot about “death with dignity,” but what does the dignity of human life demand? As the lobbyists for euthanasia and assisted suicide grow in influence, and as we face a healthcare future more murky and frightening than it has been in generations, our society finds itself in desperate need of sound and compassionate guidance on end-of-life issues. 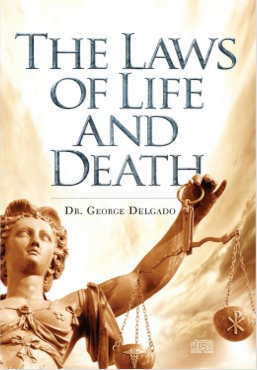 In The Laws of Life and Death, George Delgado – a Catholic physician and expert on both the medical and ethical issues surrounding terminal patient care – offers a useful guide to navigating the choices faced by the aged, sick, and dying, and those who care for them. “Through the use of reason, the human person is capable of recognizing both the profound and objective dignity of his own being, and the ethical requirements that derive from it. In other words, man can discern in himself the value and the moral requirements of his own dignity. It is a discernment that entails a discovery open to further refinement following the coordinates of the “historicity” that are typical of human knowledge” (Address of John Paul II to the participants in the General Assembly of the Pontifical Academy for Life, 27 February 2002). La nascita di un bambino da ‘madre in affitto’ è seguita dal rapido allontanamento del bambino per consegnarlo alla coppia che lo ha commissionato. Ci si preoccupa di diritti del bambino di conoscere i genitori, di possibili ricadute psicologiche. Ma a questi non possiamo non aggiungere i rischi immediati per la salute, di cui purtroppo nessuno parla. Después de la aparición del magnífico artículo del Secretario General de la FIAMC sobre el difícil uso médico de la marihuana (1) hemos recibido numerosos comentarios y valiosas aportaciones de médicos de diversas partes del mundo. La FIAMC organizará en marzo en Barcelona una Jornada sobre la marihuana como mal en sí y como caballo de Troya de otros problemas, especialmente, en personas jóvenes.